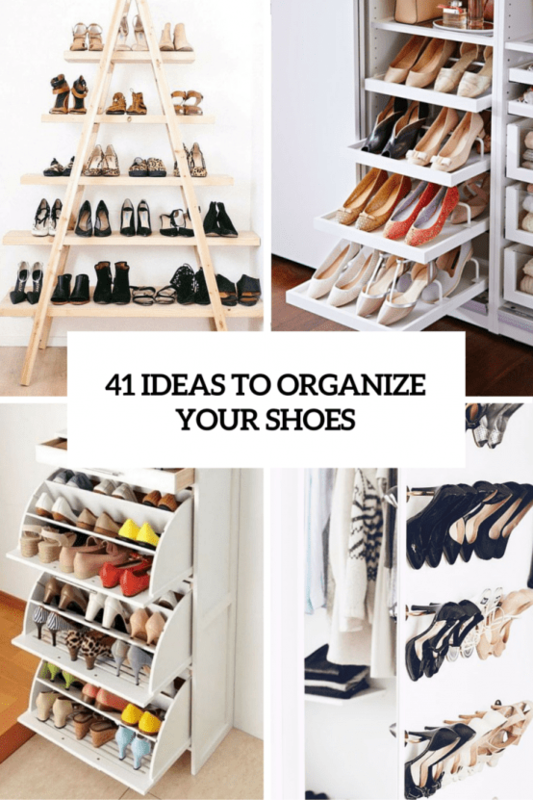 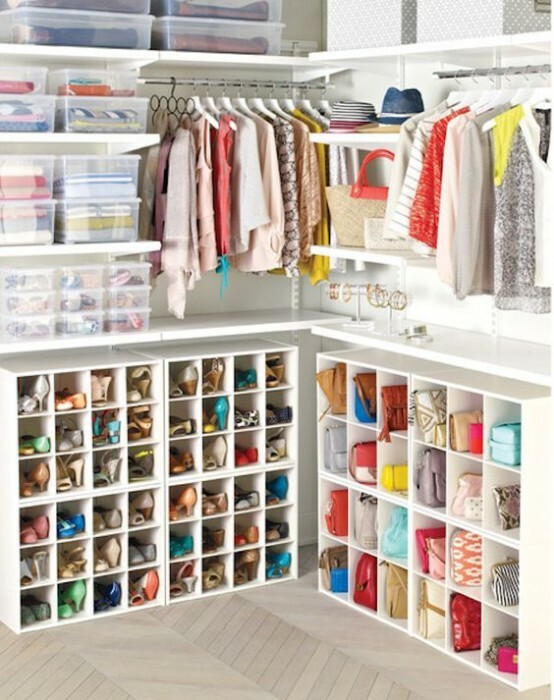 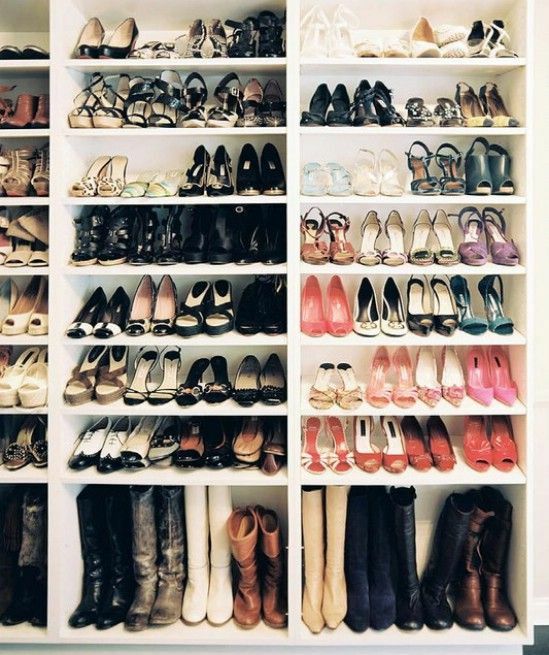 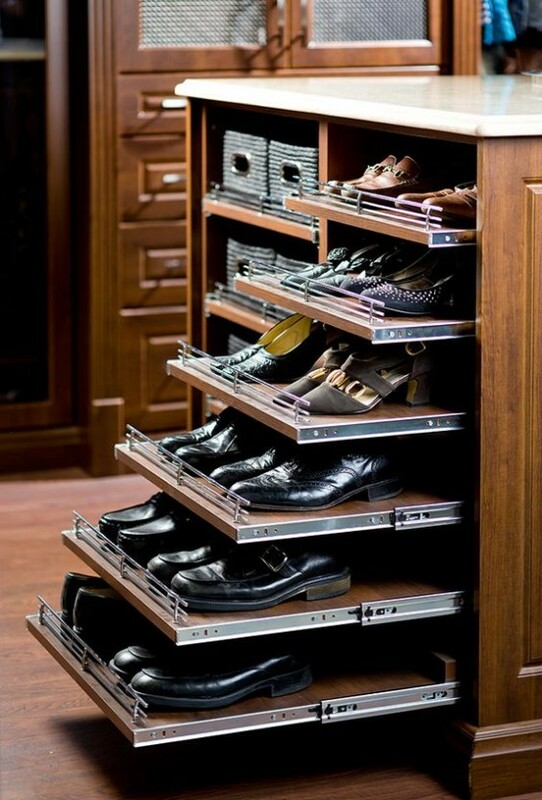 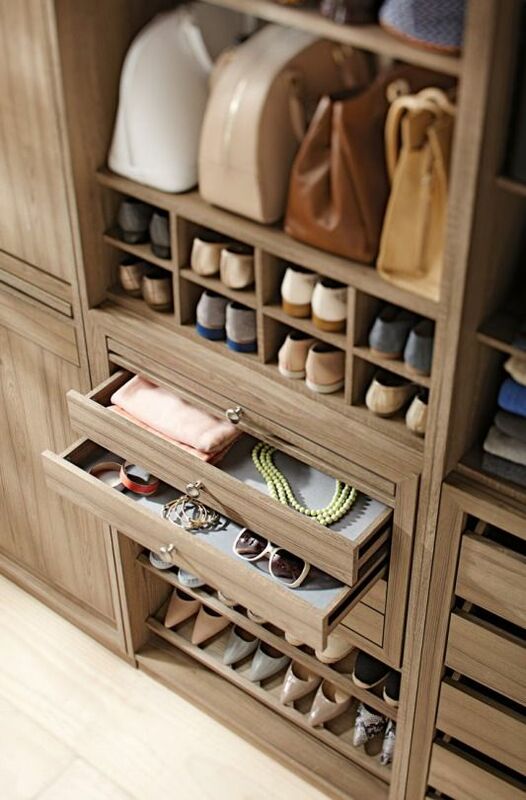 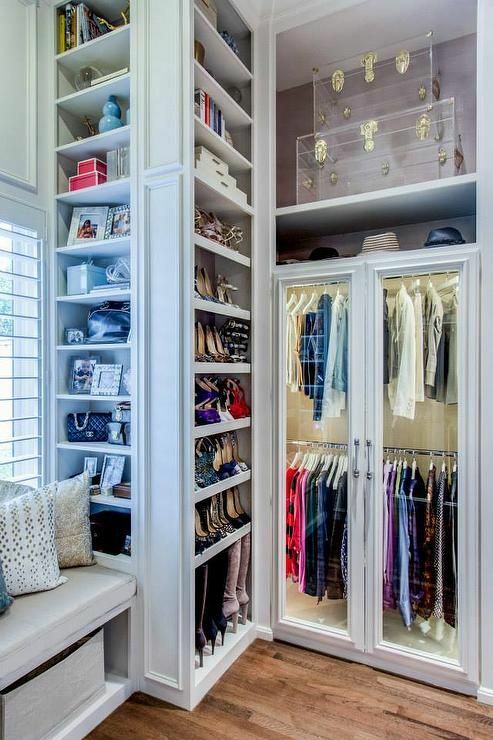 If you have a lot of shoes, or maybe a big family, you need to organize them right. 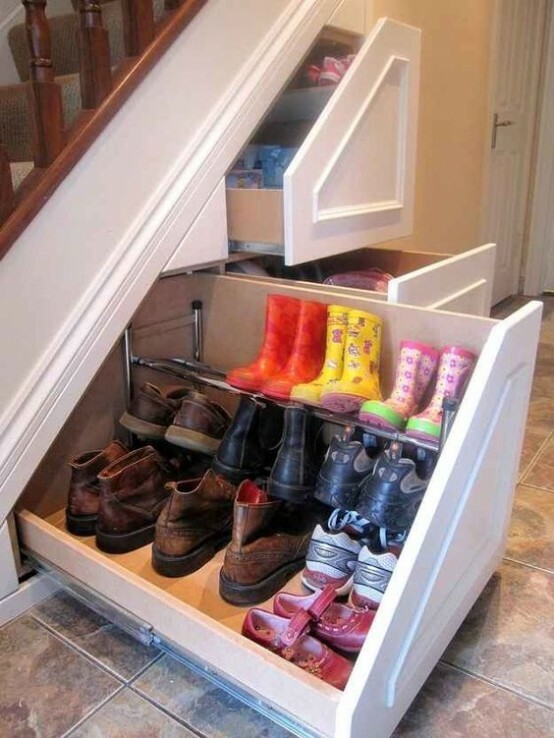 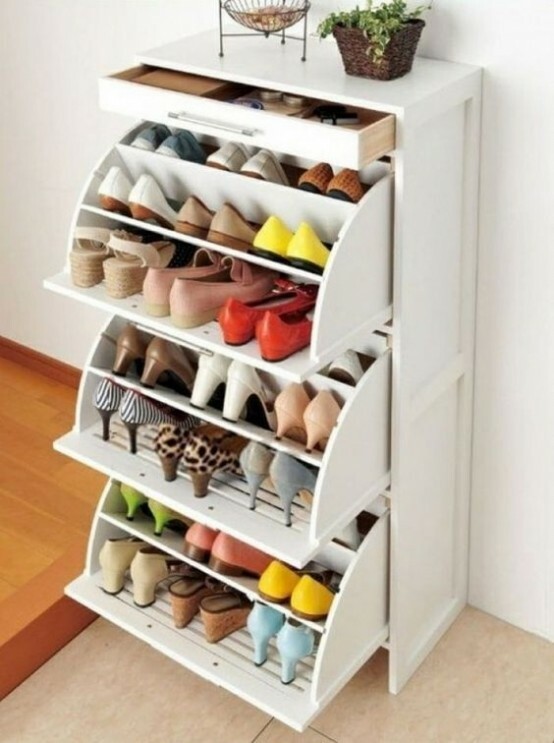 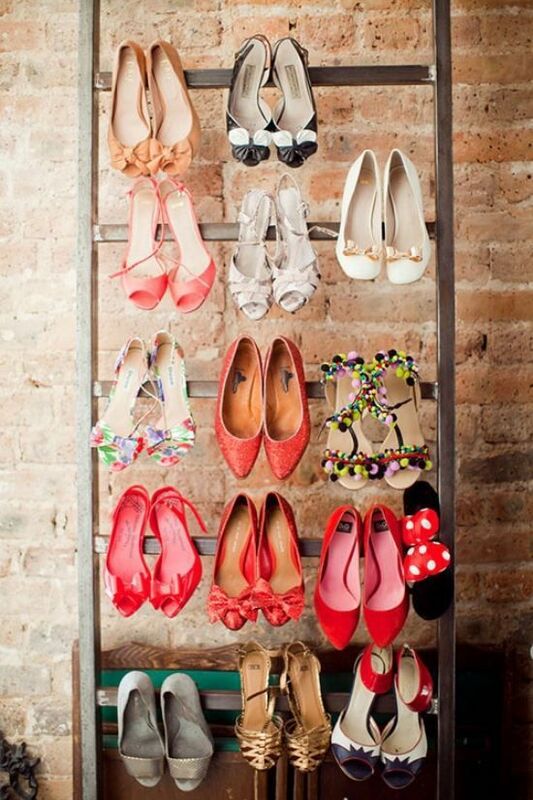 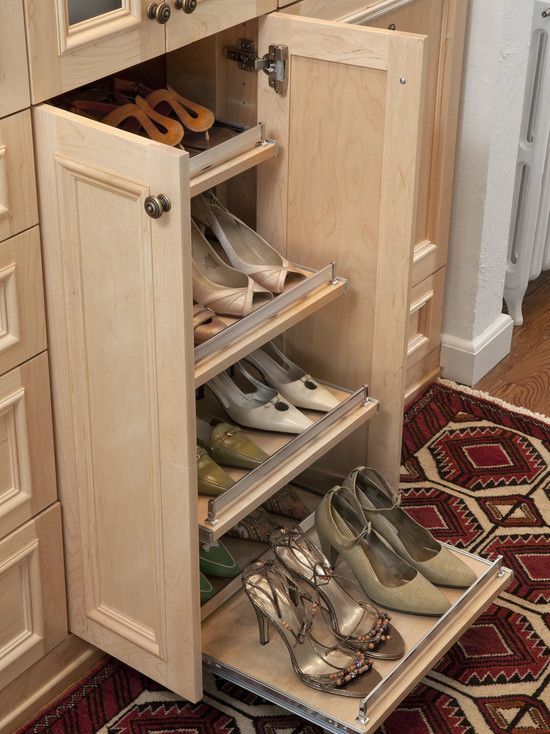 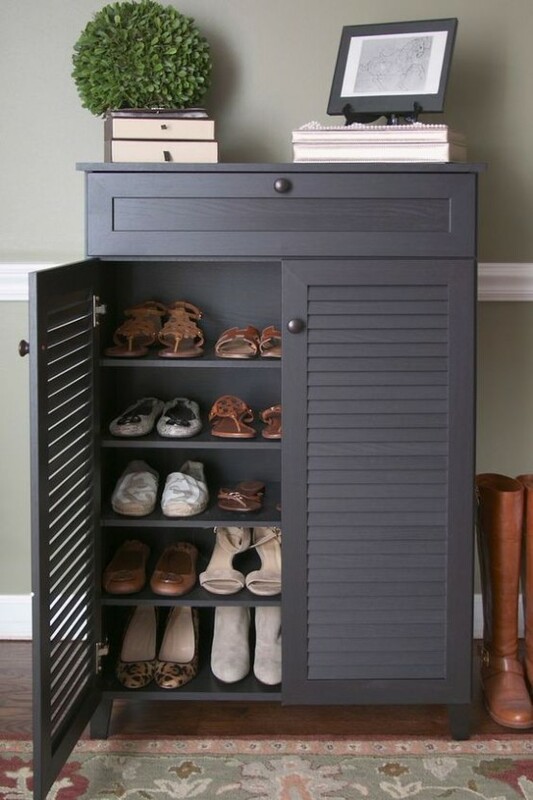 There are lots of shelves created specially for shoes and you can also DIY some of them. 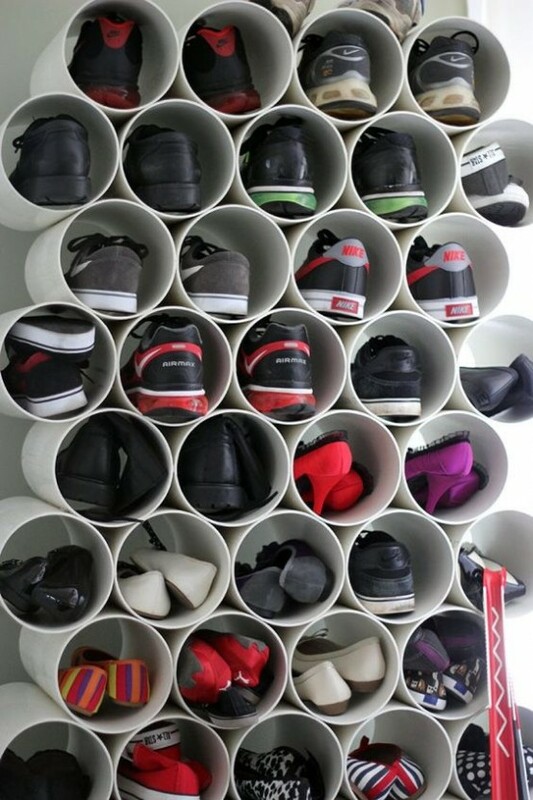 Make a shoe shelf of crates, PVC pipes, boxes, attach metal holders or a metal net to the walls if you are tight on space. 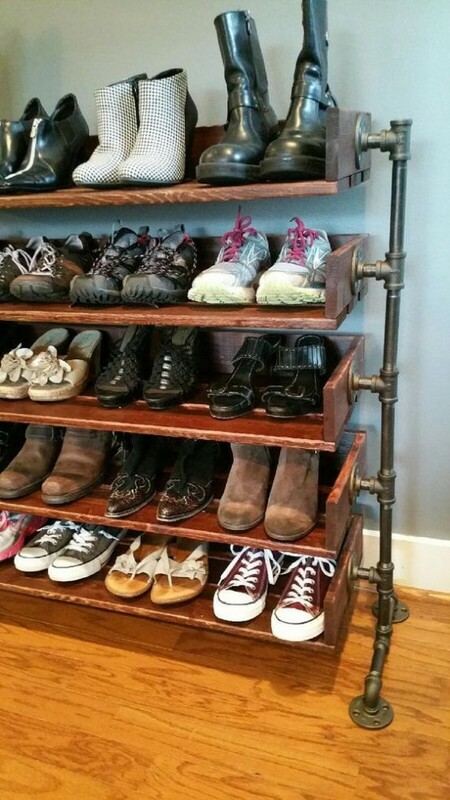 If these are boots, you can hang them using clothes hangers and save some space. 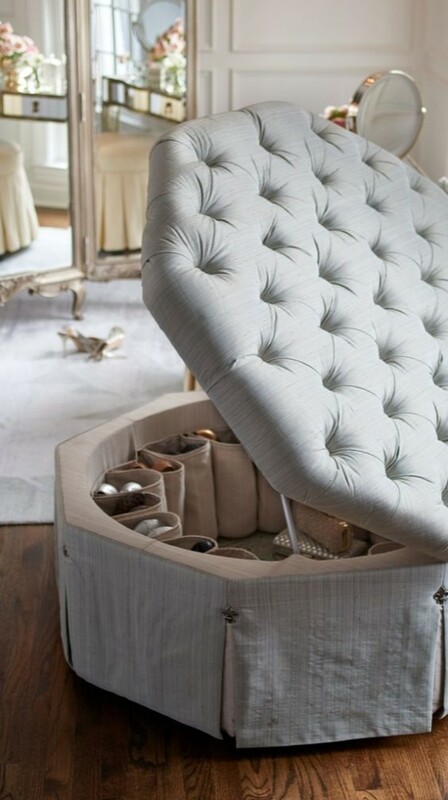 Ottomans and benches with storage compartments inside would be perfect for storing your shoes in a closet or hallway. 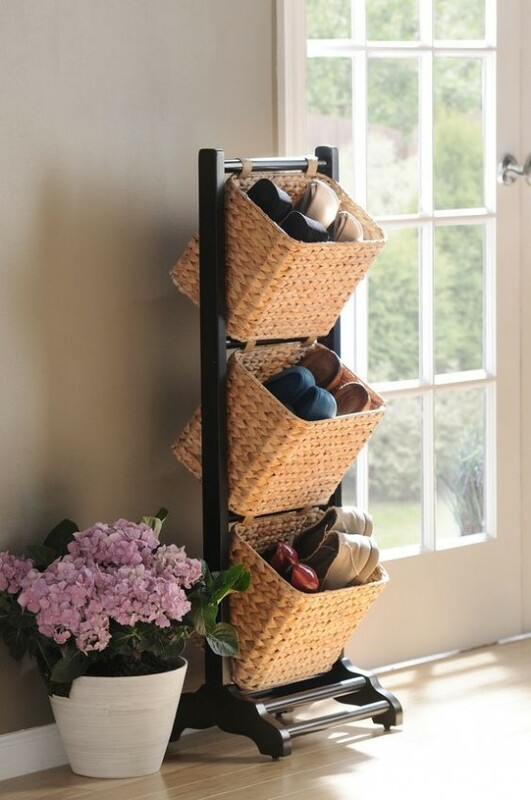 Make a basket trio hanger to store the shoes in the hallway. 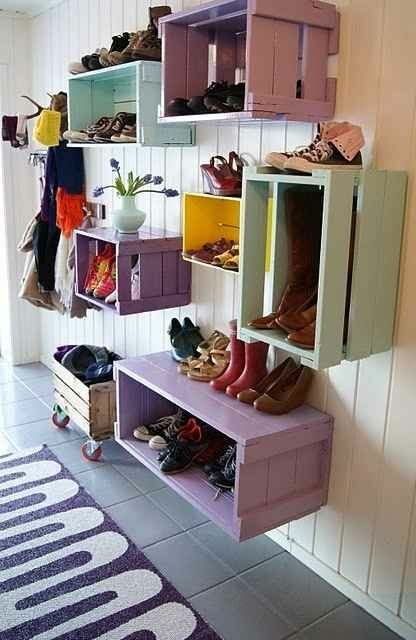 Love these ideas? 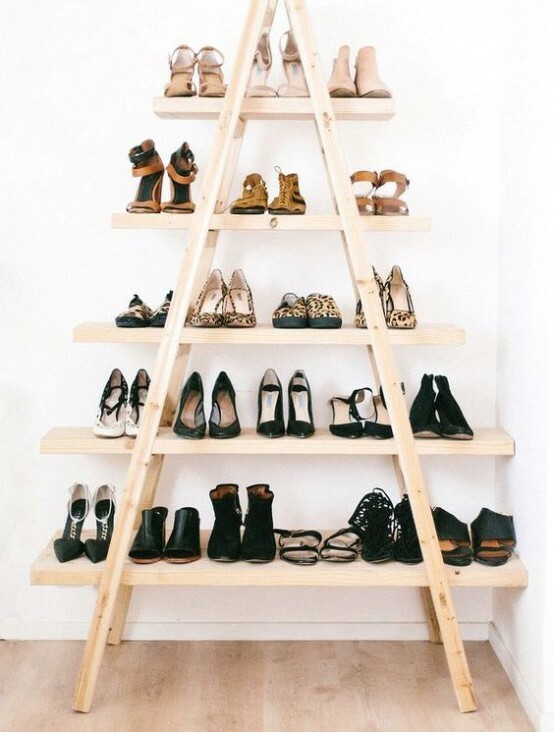 Get more of them below!